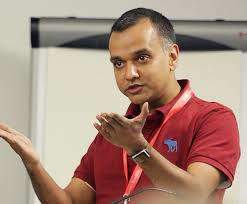 The Department for Work and Pensions (DWP) has said it is still planning to launch an external competition to recruit a successor for departing chief digital and information officer Mayank Prakash, though time is running out to complete any competition before Prakash is due to leave. Announcing his departure at the end of September, DWP indicated that Prakash would be leaving at Christmas to take up a new role outside the Civil Service. He subsequently announced that he will be joining British Gas owner Centrica to head up the digital transformation of its consumer business. A Christmas departure, DWP said, would coincide with the completion of the rollout of Universal Credit, which would be complete in 8 weeks. A DWP official confirmed this week that an external competition was still due to be held to find Prakash’s successor but said no external notice of it had yet gone out. At the time of the announcement of Prakash’s departure, the department said, “Mayank joined DWP four years ago and has personally driven an ambitious agenda for improving the technology that supports citizens, significantly overhauling our systems, and embedding agile design and development that has been and will continue to be critical to our services in DWP. “We would like to thank Mayank for his significant contribution and wish him all the very best for his new role”. Prakash himself said, “It has been a privilege to lead the digitisation of DWP. I will miss working with inspirational colleagues passionate about delivering services to 22m people. “Working with brilliant civil servants who care about giving back to society has been a memorable and enjoyable learning experience. I am proud of the many achievements of colleagues and grateful to industry leaders for their partnership to transform the UK’s largest IT estate beyond recognition. “I look forward to tracking the future digitisation of DWP’s services with keen interest and will follow with pride the great work of digital specialists at DWP”.